…Which is crazy because you didn't accumulate all those theatre credits from NOT knowing how to act, right? But acting for film and television is different from theatre acting. It just is. And therefore, auditioning for film and television is also different. …And that would be a shame… Dontcha think? As someone who's held countless casting sessions and seen thousands of actors, I can tell you that Casting Directors who work in film and television won't consider you seriously for their shows unless you have learned how to transition your stage skills to cinematic skills. Everything starts in the audition room. You must master it so you can get what you want. That's why I made this video just for you. If you're an actor coming from the theatre and you want to work in film and television, watch this video now so you know how to make that transition in your auditioning style. P.S. IF you're new (or new-ish) to the business of acting, make sure you are registered for my upcoming free training: DISCOVER ME BLUEPRINT: 8 Steps To Become A Professional Actor When You Don't Know Where To Start so you can know exactly what steps to take to get your acting career ROCKIN! 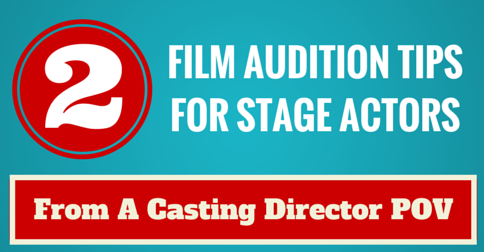 If you enjoyed these 2 Film Audition Tips For Stage Actors, retweet and comment please. Thank you Amy for sharing!!! This is so true. When I tape an audition or view a tape from a film class I am always amazed that there is usually room to “take it down” one notch more. Truthful stillness is what I am working toward! Very helpful as always, Amy. I had a double-whammy to “control” before doing TV/Motion Picture work. I had years of theatre AND years of radio. But I had a very good teacher/coach who taught me the very things that you covered here. I totally need this as I do mainly stage and I am sure that has something to do with me not booking for film. I had learn this when I first started transitioning the film from theatre. Actually, my biggest issue turned out to be my diction. I had to start trying to slur my words a little, so that I was innunciating every single word anymore. Was really helpful. Did some theater early on but it didn’t seem to be my cuppa. Now I’m fully transitioned to F & TV. That’s soooo cool! One of the most memorable auditions I’ve been a part of. Loved that one Bj. 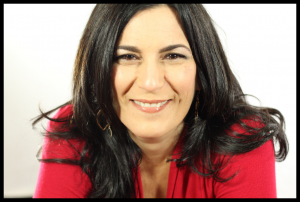 Helpful thoughts, although I think performing in a BlackBox or acting in a intimate venue can help stage trained actors bridge the gap between the two styles easier. Personally my film acting has grown leaps and bounds since I started focusing on BlackBox acting. What do you think? I think training directly for the camera is the most direct route to the desired result for most actors. But if that works for you, then keep rockin’ it James! I agree with you, Ryan, although it is only one step to the camera, which is quite different. Some characters created for film do indeed require some of emotional response we can play in a tiny black box but we have to exercise caution because a black box still requires projection and “presence” film would see as overkill. Great image with the muscle memory – it does feel weird at first, coming from a theatre background, but it’s just a different way of auditioning. Thanks for the tips as always Amy Jo, and see you Wednesday! This is my experience and also my training in theatre and cinematic arts where we were trained for both stage and film work. I loved the mix. I always take mental steps to prepare for the difference between the two mediums; however, the internal preparation to act and the requirements necessary to create real characters for either stage or screen are the same. I remain in character whether I’m on a set or backstage. It’s part of being professional and, I believe, sets us apart from people who only work in one medium. There is the possibility to shine if you have training in both and can make the distinction. Love your videos/emails always when I get to listen/read and love sharing to others about you. Be Professional and dress appropriately.If you are asked to bring a monologue, make certain that you have rehearsed it completely. Get to know the play. Many auditions involve reading “sides.” Sides are small, hand-picked portions of a script. Sometimes they are a brief monologue. Sometimes they are short scenes involving two or more characters. I’m a young professional theater actress with an age range from 7 – 13, but I’m trying to break into the film industry. I’ve been taking classes for film and television, I’ve joined an agency, and I have a strong resume, but when I audition I still get nothing. I’ve been “doing nothing,” as you say, but no such luck. My mom isn’t going to take me out of school to go to L.A. or anything, but where I live, Atlanta, Georgia, is good as well. What can I do to get noticed? Oh goodness. Haha This is tremendously useful! I sometimes even get told to do less for stage plays! I’m going to have to really learn to rein it in for film & TV!!! I am going to most definitely look into coaching! I’m super excited for my live sessions with you, Amy!